Our beloved Mike passed away suddenly on the 9th December. 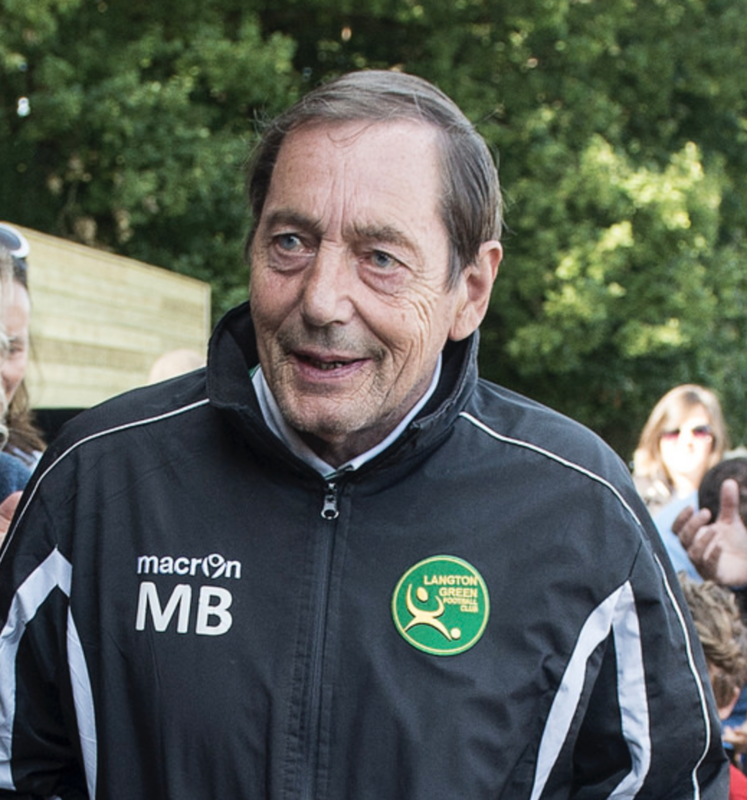 Mike loved our Club and dedicated his life to encouraging young people to enjoy the sport he was so passionate about, football. His enthusiasm and support was boundless. Literally thousands of children started playing the game and flourished with Mike’s unwavering help and advice. He made time for everyone, he loved us, and we all loved him right back - it was a simple and beautiful thing. Mike’s passing has left a hole in our lives that will never be filled. Since his death we have been inundated with messages, and in due course we will be printing a selection below, together with some photos of the man we all loved. At this time we remember so many happy memories of Mike, created by his selfless and boundless dedication. Our club is his lasting memorial. In the fullness of time, we will hold a celebration of his life, so we can show how much he meant to us all. He was the best of us all. It is impossible for me to express how much we all miss him. We would like to share our sincere condolences with his family Children Karen, Sarah and Matt and his beloved grandchildren. Our thoughts are with you all at this incredibly difficult time. - Guy Lambert (Chairman) Langton Green Community Sports Association. 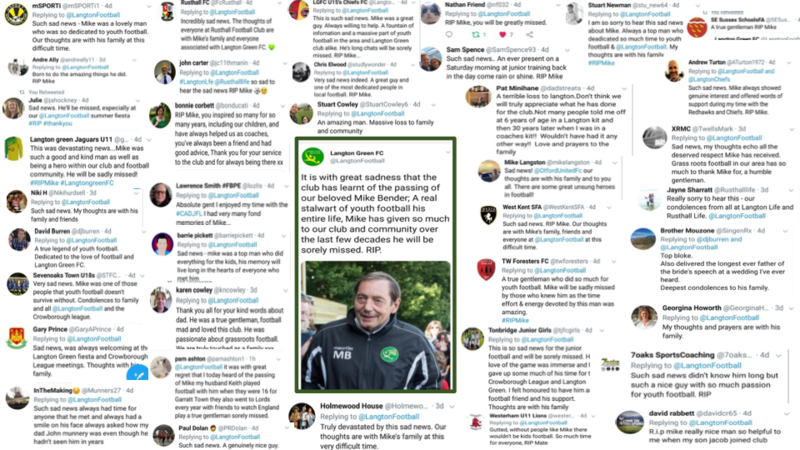 Here are a selection of comments the club has seen on Twitter, which gives a small taste of how much respect and love there was for Mike. Thank you Kevin and Bonnie for collating these (click / tap the image to see full screen).